New immigrants spend $800,000 more on housing in Metro Vancouver than Canadian-born buyers. A Statistics Canada report revealed new immigrants to the region are likelier to buy mansions than their born-and-raised compatriots, spending an average of $2.3 million to the latter’s $1.5m. The value of homes bought by new immigrants who came to Canada through immigrant investor programs swells to $3.2m. The defunct Immigrant Investor Program and its Quebec counterpart, the QIIP, have brought to Canada 4,400 millionaire immigrants whose cost of admission is an $800,000 interest-free loan to the government that is repaid in five years. 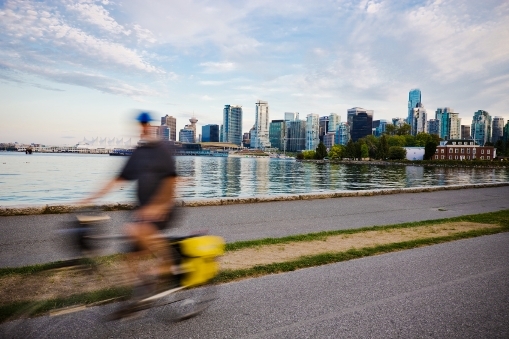 “Recent investor immigrants born in China and Iran own higher-value single-detached properties in Vancouver than those from other countries,” said the report, which examines immigrant ownership in the Toronto and Vancouver regions. The report notes that the disparity in property values between Canadian-born residents and long-term immigrants isn’t as drastic as it with immigrants who have arrived since 2009. However, the price of a detached Metro Vancouver home owned by a long-term immigrant in 2017—$1.77m—is still 17% higher than the average price of a home owned by a domestic-born resident. “Immigrant Canadians may exhibit a stronger preference for investments in housing than Canadian-born residents,” said the report. A recent column in the Vancouver Sun noted that “provincial nominee programs” are supposed to favour newcomers looking for a job, yet since 2009 thousands have managed to buy luxury homes in Canada’s most expensive real estate market. In Toronto, the average price of a home bought by a provincial nominee is $1.06m—considerably more than the $849,000 spent by Canadian-born purchasers of Toronto homes. Newcomers from Mainland China also comprise two out of three homebuyers in Toronto and Vancouver who arrived through provincial nominee programs. A CMHC market analyst at last week’s CMBA-BC conference in Vancouver said the impact of immigrant buyers on housing prices hasn’t been studied much, but strongly inferred it could help determine whether or not rich non-resident speculators are driving up prices at the expense of domestic buyers. It doesn’t need being a talent to figure out that ! New immigrants are the major power of buying the expensive houses.